Kefir treatment in ovariectomized (OVX) rats could significantly decrease the levels of bone turnover markers and prevent OVX-induced bone loss, deterioration of trabecular microarchitecture, and biomechanical dysfunction that may be due to increase intracellular calcium uptake through the TRPV6 calcium channel. Osteoporosis is a disease characterized by low bone mass and structural deterioration of bone tissue, leading to an increased fracture risk. 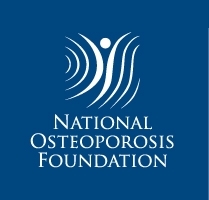 The incidence of osteoporosis increases with age and occurs most frequently in postmenopausal women due to estrogen deficiency, as the balance between bone resorption and bone formation shifts towards increased levels of bone resorption. Among various methods of prevention and treatment for osteoporosis, an increase in calcium intake is the most commonly recommended preventive measure. Kefir is a fermented milk product made with kefir grains that degrade milk proteins into various peptides with health-promoting effects, including immunomodulating-, antithrombotic-, antimicrobial-, and calcium-absorption-enhancing bioactivities. The aim of this study is to investigate the effect of kefir on osteoporosis prophylaxis in an ovariectomized rat model. A total of 56 16-week-old female Sprague-Dawley (SD) rats were divided into 7 experimental groups: sham (normal), OVX/Mock, OVX/1X kefir (164 mg/kg BW/day), OVX/2X kefir (328 mg/kg BW/day), OVX/4X kefir (656 mg/kg BW/day), OVX/ALN (2.5 mg/kg BW/day), and OVX/REBONE (800 mg/kg BW/day). After 12-week treatment with kefir, the bone physiology in the OVX rat model was investigated. Accordingly, the aim of this study was to investigate the possible transport mechanism involved in calcium absorption using the Caco-2 human cell line. 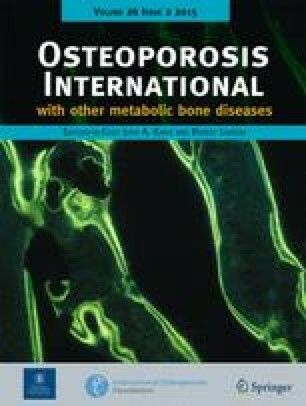 A 12-week treatment with kefir on the OVX-induced osteoporosis model reduced the levels of C-terminal telopeptides of type I collagen (CTx), bone turnover markers, and trabecular separation (Tb. Sp.). Additionally, treatment with kefir increased trabecular bone mineral density (BMD), bone volume (BV/TV), trabecular thickness (Tb. Th), trabecular number (Tb. N), and the biomechanical properties (hardness and modulus) of the distal femur with a dose-dependent efficacy. In addition, in in vitro assay, we found that kefir increased intracellular calcium uptake in Caco-2 cell through TRPV6 calcium channels and not through L-type voltage-operated calcium channels. The protective effect of kefir in the OVX rat model may occur through increasing intracellular calcium uptake through the TRPV6 calcium channel. H.-L. Chen, Y.-T. Tung, C.-H. Chuang, and M.-Y. Tu contributed equally to this study. The online version of this article (doi: 10.1007/s00198-014-2908-x) contains supplementary material, which is available to authorized users. This research was supported in part by grants NSC101-2324-B-005-002-CC1 from the National Science Council and the Ministry of Education, Taiwan, Republic of China, under the Aiming for Top University plan (ATU-101-s0508). The authors would like to thank our colleague, Professor Jiunn-Wang Liao in the Graduate Institute of Veterinary Pathology, National Chung Hsing university, for his help with the discussions and technical issues.